Is There a Citric Acid Food Allergy? Can You Be Allergic or Sensitive to Citric Acid? A food sensitivity or allergy to citric acid is very rare, and it is not actually an allergy in the strictest sense. Citric acid is a simple molecule, and the body doesn't produce an antibody to it that would trigger an allergic reaction or show up in a traditional allergy skin test. However, it's entirely possible that the source of the citric acid in food might trigger some form of sensitivity in certain people. Citric acid can be derived naturally from fruit, or it can be synthesized commercially. If you are sensitive to the fruit or to substances that remain from the synthetic process, those may be what is triggering your reaction. You might try to avoid citric acid to prevent the reaction from these substances. The problem in trying to avoid citric acid is that it is very commonly used as an ingredient, food additive, and preservative. Therefore, if you discover you're sensitive to it, learning to avoid it can be challenging. Citric acid derived from natural sources has been used as a food additive for over 100 years. It is often used to provide a sour or tart flavoring, act as a preservative, or serve as an emulsifier. It is often used in canned and jarred foods to prevent botulism. Citric acid is found in foods including ice cream, sorbet, caramel, soda, beer, wine, baked goods, processed sweets, and pre-cut pre-packaged fruits and vegetables. It acts as a preservative in these foods and to provide a longer shelf life. Citric acid in its natural form is extracted from fruits. People who react to fruit-derived citric acid actually are allergic to the fruit, not to citric acid itself. 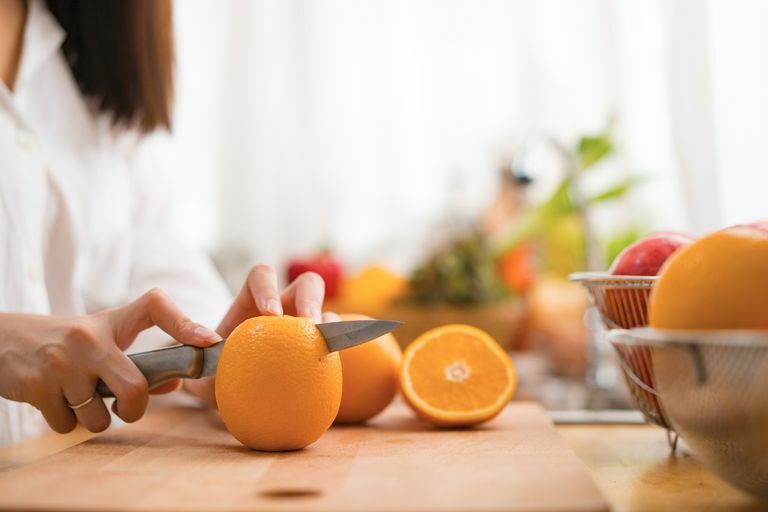 Citrus fruits such as oranges, lemons, and limes can cause oral allergy syndrome or skin-based contact reactions in some people. The acid in citrus fruits can also aggravate acid reflux symptoms and cause some people to experience heartburn. Citric acid is also synthetically produced using a type of mold called Aspergillus niger, a safe strain of black mold. It is much cheaper to produce it this way than to use the natural version. In the manufacturing process, the mold culture is fed sugar solutions, which are often derived from corn. This is often the source of citric acid used as a food additive in many processed foods. It's not unusual to have an allergy or a sensitivity to mold or corn, and in fact, many people who react to foods containing citric acid may actually be allergic to the mold or the corn used to produce the acid. Serious allergic reactions involve swelling of the airways and trouble breathing. If you experience those symptoms, seek out emergency medical treatment. If, on the other hand, you routinely experience less-severe, but still noticeable, symptoms following the ingestion of foods with citric acid, you should talk to your doctor about getting tested to find out exactly what is triggering your reaction. While you might think you are allergic to citric acid, it may actually be a reaction to mold or corn. If you have an allergy or sensitivity to airborne mold or mold found in the environment, you may also react to mold in or on the foods you eat. If you are allergic to corn, you may be sensitive to the tiny amount of corn that is left in citric acid during the manufacturing process. Allergists can determine if you have an allergy to mold or corn using a skin-prick test, but to determine if you are also sensitive to mold in foods, you will need to do an elimination diet and supervised oral food challenge. Citric acid and citrus allergy | AAAAI. The American Academy of Allergy, Asthma & Immunology.